Please come back later to login or register. Have you ever wanted to read the Bible but thought you’d have a difficult time understanding it? Do not be afraid: Chaplain Fred Woodward is here to be your guide. 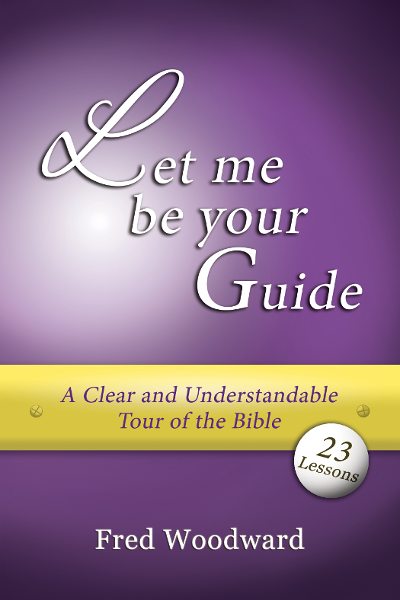 Easy to read and with clear explanations, this book will enable readers to study the books of the Bible and build a foundation of biblical comprehension. A great book for those who do not know Jesus Christ and for those who want to deepen their relationship with Him. The video series that corresponds to the book is now available! All 23 video lessons are stored on a flash drive and can be played on your computer or mobile device. Watch lesson 1 in its entirety for free.